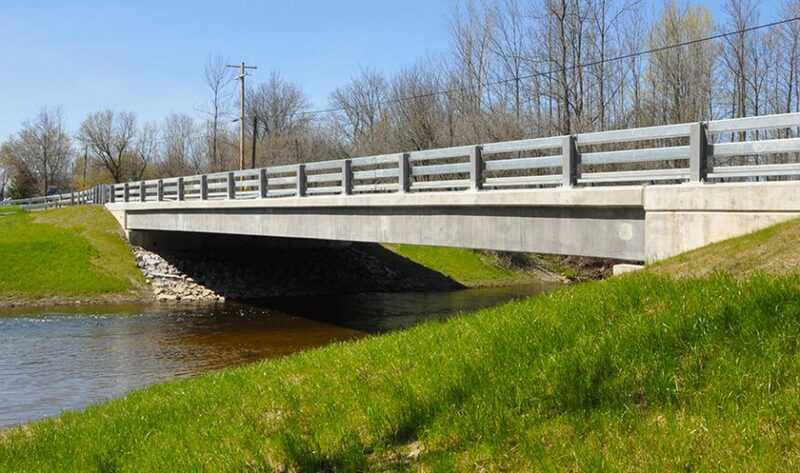 Swift Mills Road Bridge wins Bridge of the Year - Nussbaumer & Clarke, Inc.
At the Association for Bridge Construction and Design (ABCD) annual dinner on May 18, 2017, Swift Mills Road Bridge over Murder Creek won Bridge of the Year – Under $2 Million. Swift Mills Road Bridge is owned by the Erie County Department of Public Works, was designed by Nussbaumer & Clarke, Inc., and constructed by CATCO. On hand to accept this award was Jim Grzeskiewicz – Nussbaumer NICET IV Inspector, Curt Krempa – Nussbaumer’s Structural Manager, Wayne Scibor – Erie County DPW – Div. of Highways Supervisor of Engineering, Karl Rohde – Nussbaumer Senior Project Manager, and Mike Marino, Chief Executive Officer of Nussbaumer. Congratulations to all who were involved!